The idea was to drive to Idaho to meet up with my childhood friend, Jodi. 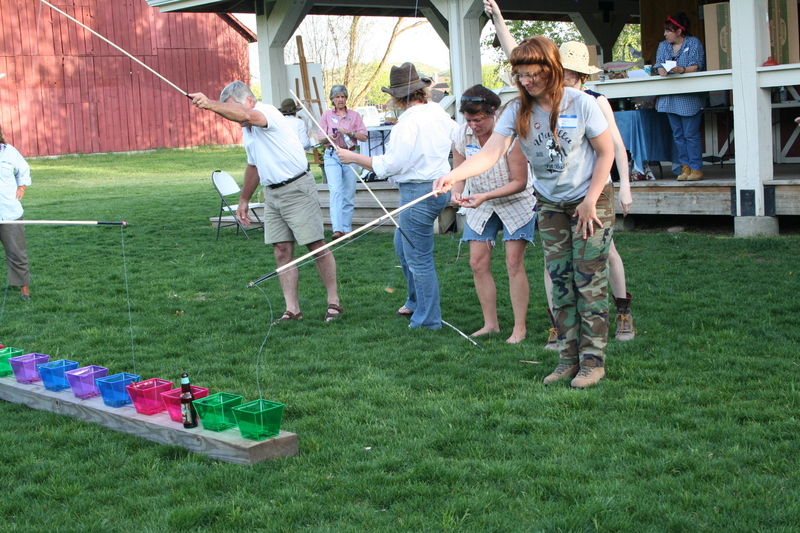 The event was the 2nd Annual Hillbilly Gatherin’ which is not just a party, but is a benefit fund raiser. This year all the proceeds (100% of the proceeds) was earmarked for Casting for Recovery. The drive would take us 930 miles round trip and we wanted to break it up a little bit. We both had one extra day off (Friday), but had to be at work on Monday – talk about a marathon! We broke it up a little by driving to Don’s mom’s home halfway and spending the night there with family and on into Idaho on Saturday. Sunday was the marathon home. Was it worth it? Oh, heck yeah! The weather was perfect. 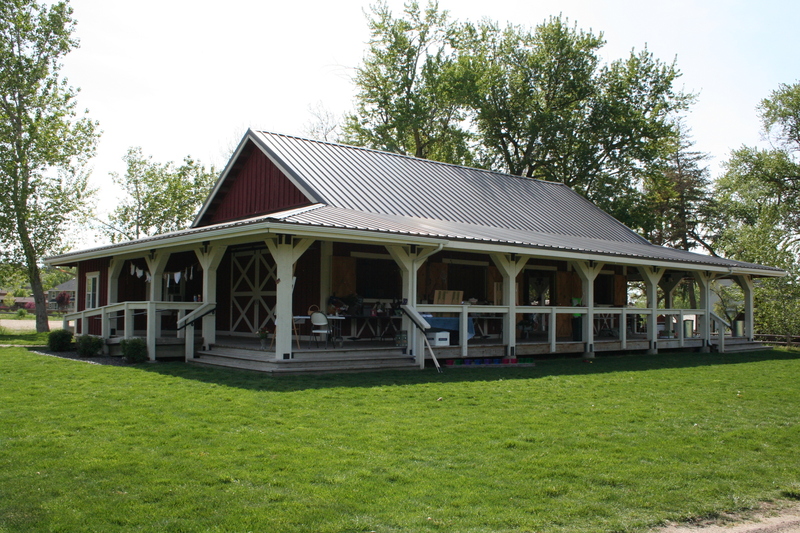 The Hillbilly Gatherin’ was held in the community barn at Hidden Springs. 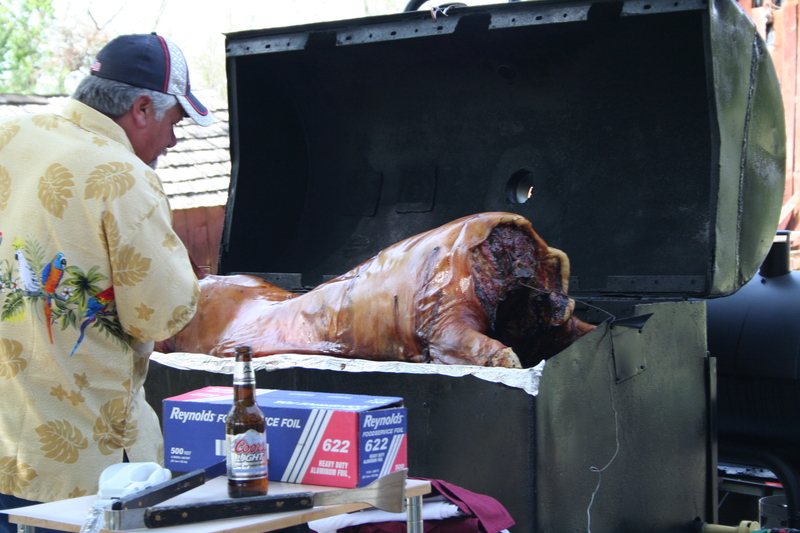 There was an awesome roasted pig (Thank you to Jodi’s husband, Ival)! There was time to go fishing. 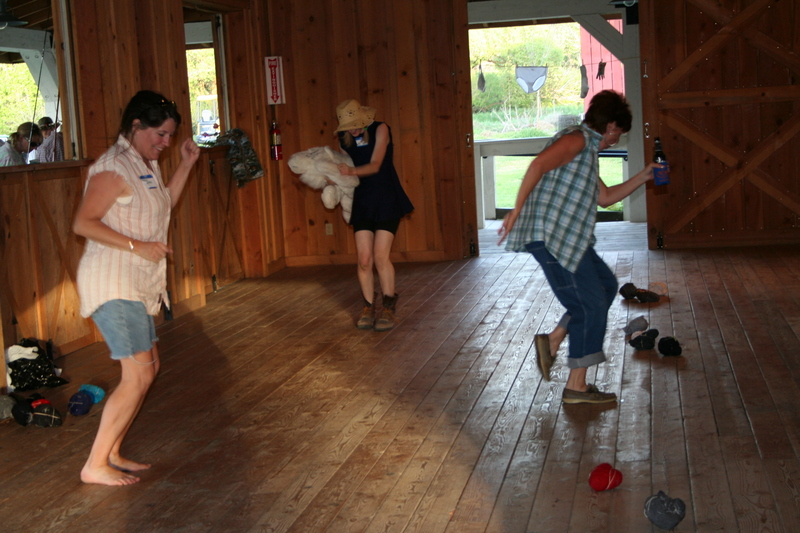 Some dancing to Cotton-eyed Joe. Bet you’re wondering what those strange balls are on the floor of the barn. I’ll get to it. 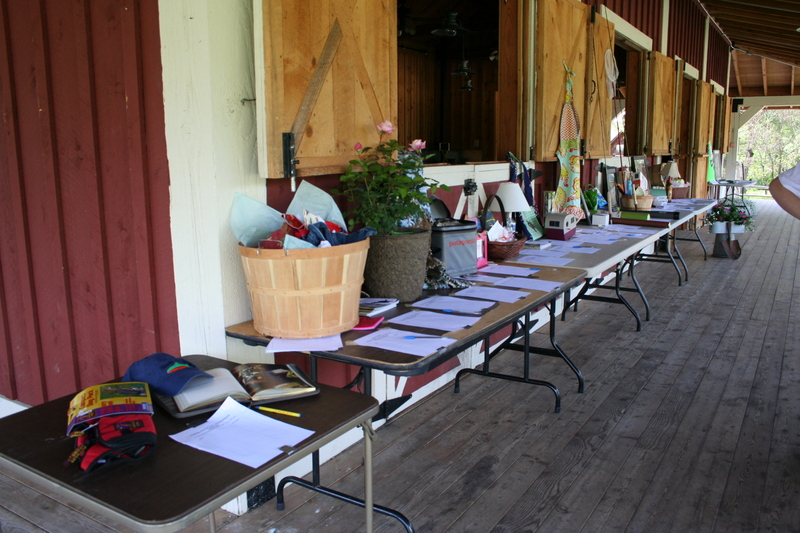 There was a silent auction to raise money. Some really nice items, too: fly rods & reels, original oil paintings, hand made items, planters, vacations and more. 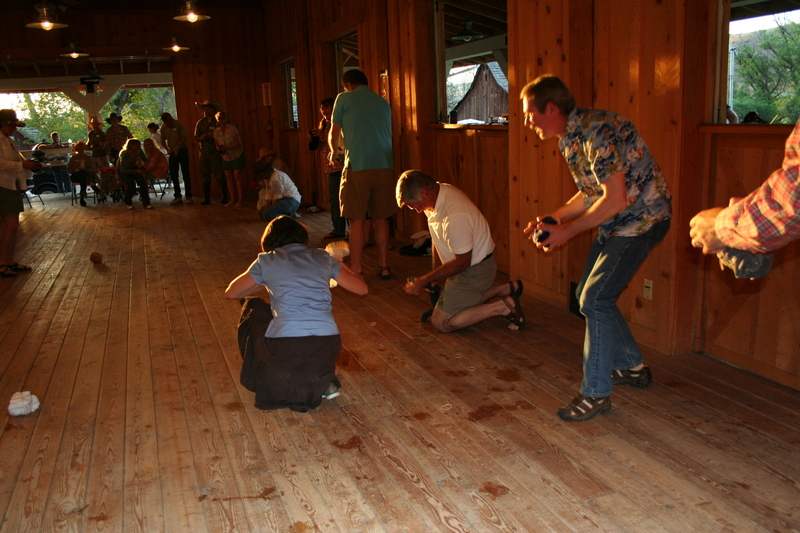 Those little round balls on the barn floor? Frozen t-shirts. The game was to take a frozen t-shirt and somehow get it to thaw out enough to be able to put it on. Believe me, the winner put on a frozen t-shirt (that’s her on the floor next to my husband). How she got that t-shirt unwrapped is a mystery to me! It was a whole lot of fun, earned a nice chunk of money for CFR (you can read about that on Jodi’s blog, The Hidden Springs Hillbillies) and provided a lot of comic relief. It was so much fun to reconnect with Jodi and her family. My brother drove up from Reno & had a good time visiting, too. Both my brother & my husband met people who were somewhere in the 6-degrees of separation, which made the time a little more personal. So wonderful to have you all here. I’m already thinking about next year’s event and looking forward to having you here!